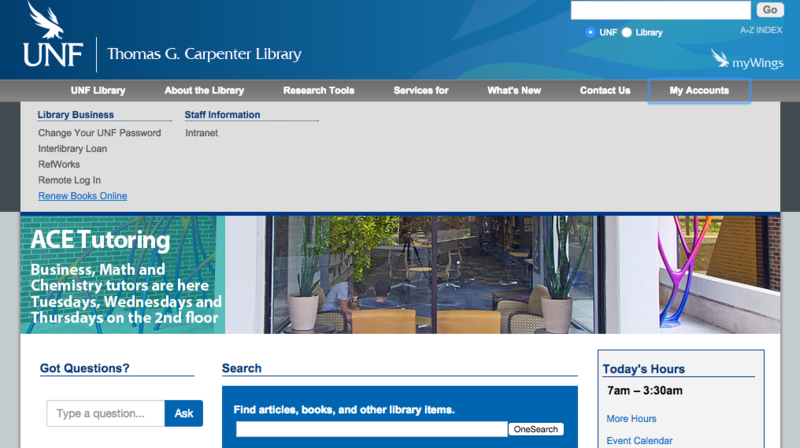 The easiest way to renew is to go to the Library homepage and click "My Account" then "Renew Books Online." Follow the directions for logging in and then select the items you want to renew. You may also come into the Library and present your Osprey1Card or special borrower card, or call the Access Services desk at 904-620-2615.